OK iv have browsed the boards and found nothing to help me grasp this. I have set up port forwarding in my router and even tried using automatically through subsonic. I have turned off the firewall and nothing seems to work. Any ideas?? Says "Status: brandooooo.subsonic.org is registered, but could not connect to it. (ConnectTimeoutException)"
You are forwarding the same port to two different machines. Open a CMD prompt and type "ipconfig" on the machine running Subsonic (if virtual, do it from the VM, not from the "host" PC), then uncheck the port forward for the "other" IP address and save settings. Start trouble shooting this to see if you can access your server from your home LAN. If you can, you know it's a router issue. The default port for subsonic is 4040. On your router you should do a couple things. 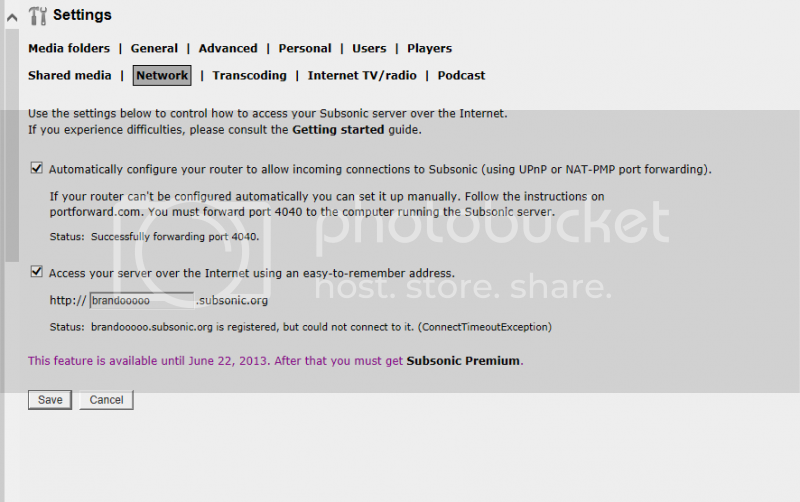 1. make sure your computer running the subsonic server ALWAYS gets the same IP. There are a few ways of doing this, like specifying the MAC address always gets the same IP. Or setting up a static IP for that computer. 2. forward that PORT in and out of your LAN. 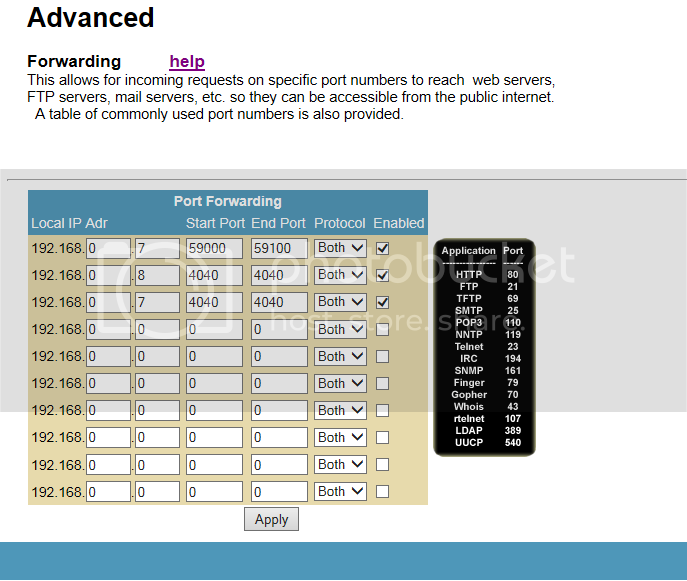 Check your router brand and model through http://portforward.com/. They have excellent instructions for setting up a proper port forward. While at home, you can put your port to check, 4040, into here http://www.canyouseeme.org/, and it's a good way to see if your 4040 port is forwarded properly.